Herbalism is the study of the various medical uses of nature. Here we’ll search knowledge on that. Lemon balm (Melissa Officinalis) is a common plant, found in the south and Mediterranean regions of Europe, but you can find it in just about any natural store. Just be careful to check if it is really the lemon balm, because many people mistake it by St. John’s Wort (Hypericum Perforatum), god knows why. Caution: Large intake of lemon balm is not advised for people with low blood pressure. That includes pregnant women, who generally have many nuances in their blood pressure. There are many uses to the lemon balm, some of them experienced by me. The effects are: relief of intestinal gas, calms the digestive system, chronic bronchitis, nervous system, colic, toothache and headache, also has a great impact on depressive disorder, works as a mild sedative, antibiotic, anti-inflammatory, cures common virus infections (e.g. flu), rheumatic pain and cough. Wow! That’s a lot of good effects it has on you. It has been traditionally prepared as a tea, but can be added to juice and mixed and used in recipes of all kinds too. If you use the fresh leaves, just put two leaves (or one and a half) in your teacup and fill it with hot water and cover the teacup. Using the dry leaves, generally smashed, add about a teaspoon of them to your cup. There are no clear restrictions to the concentration you can use, but up to some point it’s just not going to be well mixed in the water and absorbed by you. If you desire to sweeten it, avoid using sugar. Use honey instead and you get the same effect on taste, but a less harmful one on you. For babies: Babies have a lot of problems with intestinal gases they can’t release, and often cry a lot about it. As babies are more delicate, it’s advisable that you try making half the concentration used for the normal tea. Children sometimes are very sensible with things they will not have any problems with when older. It also may help your child calm down and sleep better and for longer periods at night. Avoid adding sugar. For animals: The lemon balm tea can also get your animals rid of fleas. For that, you should add pieces of the stem and leaves to a mixture of water and alcohol -some people like adding salt. I add about 20 grams of lemon balm to 1L of water and 100mL of alcohol. Then, I just leave it in a glass recipient for three days and it’s ready to use. You should bathe your dogs/cats with it about every 14 days. Many believe that the vast gardens full of roses in Europe were only for aesthetics, a simple wish of the noble. It’s not hard to find, though, that roses were registered by Pliny, the Roman writer, Charlemagne’s library contained medical books which mentioned the rose petals and, of course, ask your grandmother about it (unless she’s a late bloomer) and she will tell you all about it, because this knowledge is passed down generation to generation. There are many properties to the rose petals that can help your body function better: they’re full of vitamins, they’re diuretic, they’re astringent et cetera. The rose petal tea will help cleanse your body, help with respiratory problems, relieve PMS (and some say even menopause symptoms), heal low-mood, scurvy, combat inflammations and it’s anti-bacterial -and those are just the confirmed effects, there are some that claim it to be anticancer too. The rose hips have many uses as well: vitamins B, C, E and K, linolenic acids, iron, magnesium, dietary fiber and calcium. It has been one of the main sources of vitamin C in Europe for a long time, before the mass buying of fruits from the tropics. The hips can be eaten or made into jelly, jam, juice and anything that comes to your mind. They will be specially good for the children, as they have a special need the properties contained within the rose hips. The roses can be made by infusion or just by immersing the petals in the water and leaving them there for a while (I have seen few people who do this, but in times of need, it’s always a choice) and this will make the petals release their properties. If you wash your face and hair with it, you will start seeing a difference in quality within a few weeks. 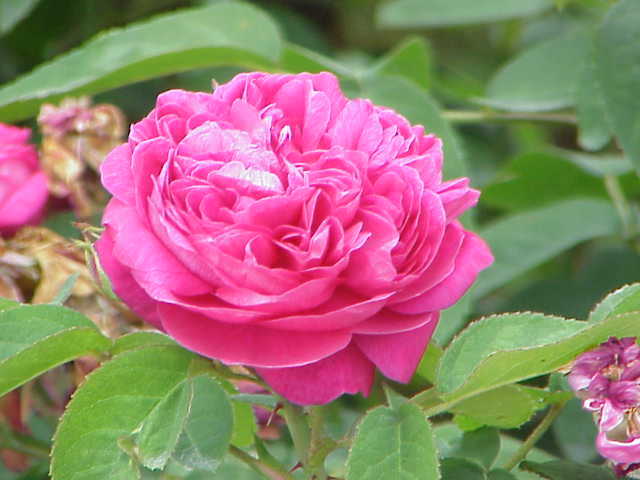 The rose petals are also anticoagulant and for that use you have to clean the petals, smash them and apply to the wound. Some say it’s better to just apply the petal tea to it, but I think it’s a better idea not to pour water directly into open wounds, for the sake of the wounded. I find the rose specially connected to mothers, because it helps you care for your children and partner. It will also relieve muscle stiffness as it has relaxing properties -something mothers need a lot. In recent times, we have been experiencing a great comfort in life, a comfort our parents and grandparents did not have, or anyone before them for that matter. We don’t have the need to know much about many things, we just need to know what they teach us in school so we can get a diploma and get into university. In university, we don’t learn anything besides what’s in our course, and once you get a job, you’ll be repeating this one knowledge you have for the rest of your life. We even forget what we’ve learned in school before university. We know nothing about cooking -and mixing spices isn’t cooking-, we know nothing about building and, the worst of all, we know nothing about nature. This is a huge problem because everything you do is related to nature. The fact that you yourself are a part of nature just proves it. Most of us wouldn’t survive if there weren’t supermarkets telling you what to eat and television commercials telling you what to dress. When you spot that problem, there is another one that becomes terrifyingly clear: if society as we know crumbles, we will not have any medicinal knowledge to treat even the smallest wound, and would die easily from the smallest diseases. We are so dependent on modern medicine that we do not even consider how people did before without it and that maybe some of those pills you take without need are making you weaker and sicker. When they were sick, people went to the healers. The healers were seen with some magical ravel around them, but they were simply people who knew more about nature and its effects on us. When the children got sick, when the men got wounded from work or the pregnant women had any troubles, they knew what herbs and foods could help and heal them. They knew what teas they should drink, what leaves they should rub and how to do that. I seek knowledge of the ancient herbs because I know those secrets can be used in our favor again, to set us free from the modern need for artificially set chemical compounds that may hurt our bodies and let us naturally heal again. This is what this section is intended to be about: a study of herbs and exposing their good and bad usages for all who are interested, as I am, in not being hypochondriac.